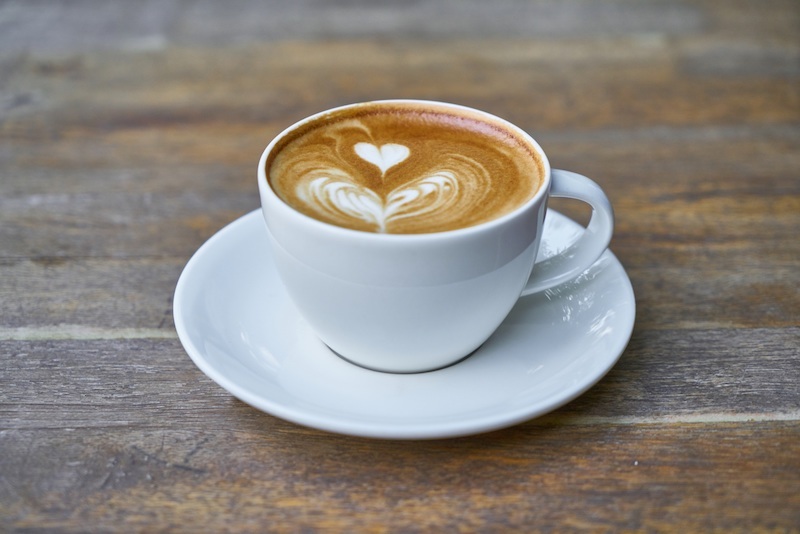 The Cappuccino, the favorite morning pick me up for Italians that evolved into any any time of day drink for the rest of the world, was originally a single shot of espresso, with about the same volume of steamed milk, and about the same volume of milk foam on top. It was served in a cup, on a saucer, with a teaspoon, and the customer would stir it, regardless of whether they added sugar. These days, with the chain coffee shops and their paper cups, it hardly seems worth driving your SUV that is bigger than grandma’s house into the parking lot, standing in line, and coming away with such a tiny treat, so today’s small, medium and large Cappuccinos are actually bigger than the Latte’s of old, and often just as milky in their proportions. There is sometimes barely a drop of over-mild coffee in a bucket of milk. At least the 1980’s style with the powdered cocoa or cinnamon sprinkled on top is going out of fashion. The Macchiato, was originally a shot of espresso with a tiny spot of milk. Sometimes hot foamy milk, or other times just a spot of cold milk. Today it has grown to be more like a Cappuccino. The Italian Latte, was originally like a Cappuccino, but with more milk and less foam, or no foam. It too was much smaller, and much higher in coffee ratio than today’s version. To confuse the macchiato, which means spot, further, there is now a drink called a latte macchiato, which reverses the macchiato spot ratio. It’s basically foamy milk, with a small spot of espresso poured into it. Terminology is not standard from one place to the next. Starbucks in the USA will give you a cappuccino that is slightly larger than a genuine Italian one, but Costa in the UK will give you a giant milky beverage. Everyone calls them cappuccinos, and they are completely different. It seems there is no chance that official definitions of coffee drinks will ever be standardized, so you may have to lurk and watch drinks being made at an unfamiliar cafe, and then order with specific instructions to get what you want. Even then, different cafe proprietors have different ideas about what type of roast the beans should have for espresso, and then of course cow milk tastes very different in each county around the world. The only thing you can count on is your next drink being different in some way. Basically, you just never know what you are going to get in that cup. NextNext post: Kickbike Cruise Max 20 Reviewed. Comfy all-day cruiser. Excellent observations. In my experience, never order one from Starbucks. Nor any place that serves in a paper cup.